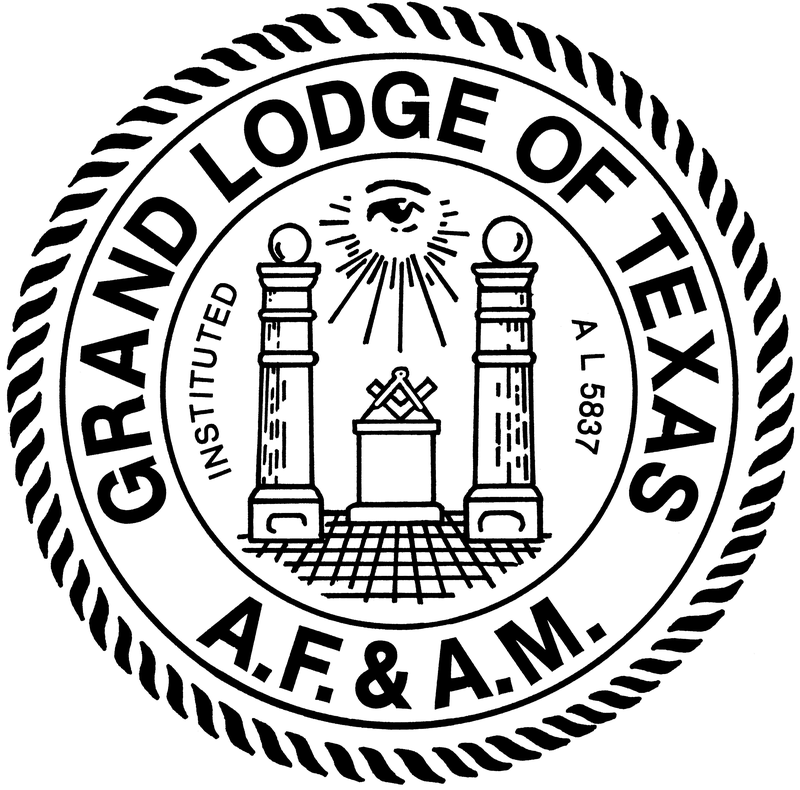 Robert Burns O’Connor, attorney of San Antonio, became the 137th Grand Master of the Grand Lodge of Texas, Ancient Free and Accepted Masons, on December 5, 1974. Occupying the highest position in the Masonic fraternity, he guided the approximately 230,000 Masons of Texas during 1975. A native of San Antonio, Grand Master O’Connor was born April 25, 1919 and received his education in the public schools of that city, graduating from Thomas Jefferson High School in 1937. He then attended San Antonio Junior College for two years and pursued his studies in law at the University of Texas Law School where he received the LL.B. degree in 1942. He was in military service from 1942 to 1945 in the Army Air Corps. Since 1946 he has been engaged in the private practice of law. 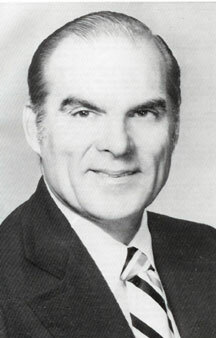 He is a member of the San Antonio Bar Association and served as president in 1963-1964. In addition, he has held various other offices and committee assignments. He has been a member of the Board of Directors of the State Bar Association of Texas and is a member of the American Bar Association. In 1951 he married Neida Wright and they have four children: Deneice, Dona, Brian and Patrick. An active member of Trinity Episcopal Church since 1946, he has been a Licensed Lay Leader since 1948, served several times on the Vestry and was Senior Warden from 1956 to 1958. He was a representative to the Dioscean Council in 1956 and 1961. Robert B. O’Connor began his Masonic career in 1943 in Anchor Lodge No. 424 of San Antonio, receiving the Entered Apprentice degree on January 20, 1943, the Fellowcraft on February 22, 1946 and became a Master Mason on March 26, 1946. (He was called into military service after receiving E.A. Degree, hence the reason for the three year delay.) Since 1961 he has held dual membership with Perfect Union Lodge No. 10. Master of Anchor Lodge in 1954-1955, he was District Deputy Grand Master of District 39-A in 1957. He has served on such Grand Lodge Committees as Grievances and Appeals (Chairman 1959 and 1963), Grand Officers’ Reports, Public Education, Respect for Law and Order and Director of the Masonic Home and School. 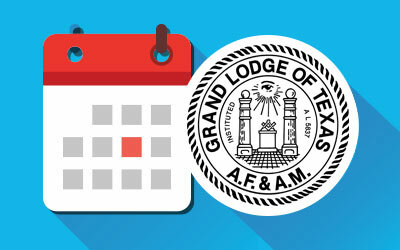 He was elected Grand Junior Warden in December, 1971 and after regular advancement became Grand Master of Texas Masons on December 5, 1974. 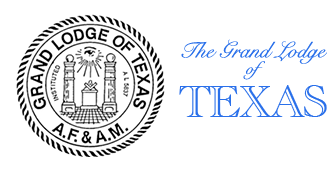 He has been a member of the San Antonio Scottish Rite Bodies since 1946, awarded the rank and decoration of Knight Commander of the Court of Honour in 1957 and coroneted as a 33rd Degree Inspector General Honorary in 1967. He began his York Rite membership in 1961, receiving the Capitular degrees in Burleson Chapter No. 21, R.A.M. and the Cryptic degrees in San Antonio Council No. 14, R. & S.M. He was made a Knight Templar in San Antonio Commandery No. 6, K.T., in 1962. Potentate of Alzafar Shrine Temple in 1965, he also served that year as President of the Texas Shrine Association. A member of various other Masonic organizations such as the Red Cross of Constantine, etc. He received the DeMolay Legion of Honor in 1965.